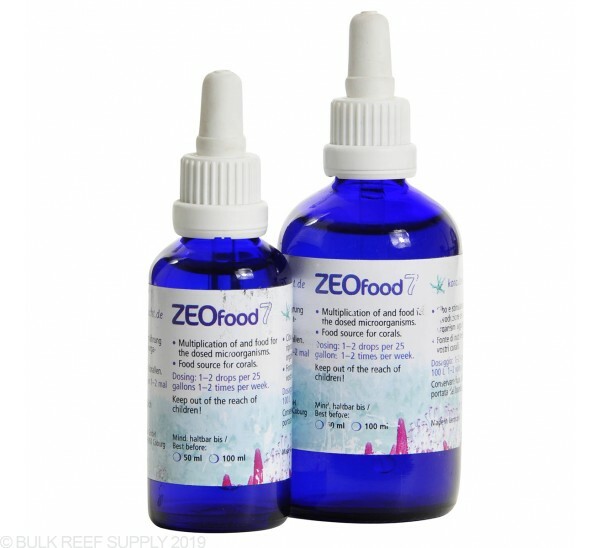 ZEOfood Plus is an amino acid and vitamin additive designed to provide nutrition to corals and increase the beneficial bacteria populations. 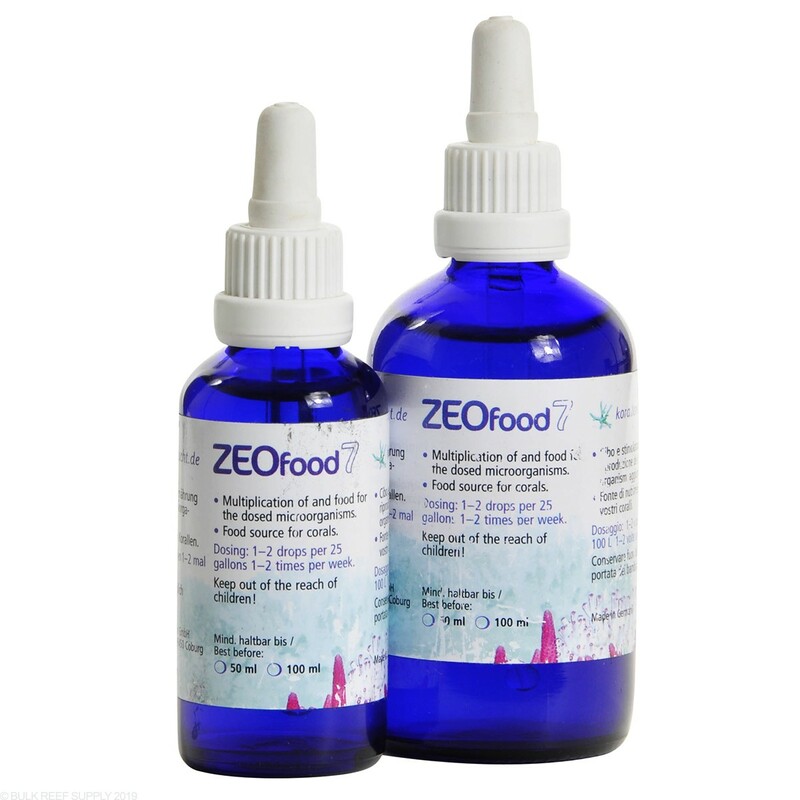 ZEOfood Plus which works the same way as ZEOfood7 but much more effective is one of the "Big Four" (ZEOvit, ZEObak, ZEOfood, ZEOstart) required for the standard ZEOvit ultra low nutrient system. This system is designed to maintain maximum coral coloration, growth, and health. Zeofood enhances the cleaning effects of bacteria and promotes healthy biology. A good and important biofilm is created within a short time. Furthermore, it improves the polyp extension of soft corals significantly. For 1 week every month, add 6 drops to 100 liters of aquarium water every day. Then for the other three weeks of the month, add 2 drops per 100 liters, three times a week. Have been using for about a month with zeolite. Nitrates and phosphates have remained near zero right from the start. Running the ZEOvit system on a new 65G reef tank build—my first. Was heavily influenced by the BRS 160 series so I thought I would give it a try. So far I am impressed with their products. The tank is currently cycling. I will update when it stabilizes and I can start adding livestock. It is recommended to refrigerate ZeoFood. While the skimmer doe snot need to be turned off it certainly can be to ensure none is removed during the feed time. As for timing often the time is evening when corals will be ready to consume however they will be willing to adapt. Feel free to let us know if you have any further questions!